A study abroad journal by students, for students. After 12 months on the other side of the world, a lot of people I had met on exchange were openly excited to get back to their own country, home and family. However, I was not ready to accept the fact that my year away might finally be over and decided to further postpone my trip back to the UK (much to my parent’s despair). I found myself splitting up the journey with a 7-week long stopover beginning in Athens, where I would catch an overnight ferry to a small Greek Island, Leros. Spending over a month here was to be a very interesting experience, partly due to the island’s incredibly speckled and prominent history. Leros is not exactly renowned for being a tourist hotspot, despite being close to party islands Kos and Rhodes. The island is only around 30 square miles, which meant that the strangeness of the living history was condensed and intensified. Looking in any direction had the tendency to blow your mind. Going back around 100 years, Leros was occupied by Italians and was used primarily as an army base during the early 20th century, with many buildings constructed to house Italian soldiers. These are now mostly used as shelter for sheep, however the paintings done over 100 years ago by Italian artists remain in crumbling buildings up in the hills. These are easily accessible by a short hike and are completely riddled by bullet holes – mostly from the British. Additionally to the troops’ stations, an extremely grandiose mansion was built in preparation for a visit from Italian dictator Mussolini. Mussolini never visited the island, but the house is still intact (if not slightly worse for wear after 80 or so years’ neglect). Everywhere you look on the island there is unmoved debris from the second World War; my friends and I took a boat trip out to an even smaller nearby island and I dived from the boat into the clear blue water only to find myself face-to-face with a 4 foot wide rusted bomb shell sitting in the shallows. This was a fairly common occurrence. A faded painting inside the kitchen of an Italian army base. The strangely prominent relics of Leros’ past don’t stop at bomb shells though; after the second World War, Athens’ mental asylums became incredibly overcrowded and patients were shipped over in their boatloads to Leros. Buildings that were formally used to house prisoners of war and were allegedly used as concentration camps were transformed into an asylum, which operated until the late 1990’s when a reporter shot an exposé of the conditions inside. The conditions were horrific, with over 3000 patients having died in the asylum. Mentally and physically disabled patients were often chained up and deprived of clothes; the staff were residents of the island with no medical training. The asylum and buildings surrounding it still stand (neighbouring Mussolini’s house) and are completely accessible. The front of the asylum. I went to explore out of morbid curiosity and was met with what looked like a set from a horror film from the 60s. Empty bed frames, medical journals and medicine bottles lay amongst dead pigeons and peeled wallpaper – unsurprisingly, I didn’t stick around for long. What remains of one of the bedrooms in the asylum – I would love to know the context behind the painting. What may be more haunting than the asylum itself though is what now lies in the old courtyard. As Leros is only a few kilometres away from Turkey, it’s a common first step towards gaining sanctuary in Europe for refugees. On such a small island, over 10% of the population is now refugees. Crowded boats arrive weekly having made the perilous journey from the shores of Turkey. The main camp for the refugees is now in the grounds of the abandoned asylum; a sprawling cluster of storage containers, each housing up to 10 people. In the time I was on Leros, I had the pleasure of getting to know many of the refugees that were living on the island. For many of them, their stay there was just a waiting game; the average length of time that they wait on the island while the Greek government is processing their claim for asylum has increased from a matter of days, when the borders were open, to a year. During this period they legally cannot leave the island. I can’t say too much on the topic of Greek immigration laws, only what I have learnt from the people I have met, but it seems like an incredibly long process that can go one of a few different ways: acceptance (meaning that they are able to leave the island for Athens) or rejection. After one rejection, they are able to apply for asylum again, however after the second rejection they are usually put into jail and risk being deported. On top of this, there doesn’t seem to be much of a pattern for who gets rejected or accepted, which makes waiting for the answer even more painstaking. Witnessing professors, doctors, architects, students and people from many other walks of life waiting in limbo from a decision that could make or break their immediate future was a harsh reality check to say the least. This, altogether with the intense and brutal history of the island made my stay there an extremely strange and extremely eye-opening time. Having said that, I definitely plan to return – just one more year of university to get through before any more jetsetting, though! One of the classes I have taken during the second semester at ASU is Geography of World Crises. This is taught by Dr. Larson and involves the class as a group discussing different issues that the world face today. These can range from gender inequality to the rise of extremism and the damage we are doing to the environment. Aside from these discussions, we also had to take part in two days of service, where we volunteered either on campus or in the local community to help sustainability projects and those who are less fortunate than ourselves. The two projects I took part in was orange picking for the campus diners and the United Food Bank who provide food for families that cannot afford their own. The orange picking was done on campus. The Tempe campus at ASU grows their own oranges that they then use in their diners to provide students with fresh, healthy orange juice which is made using the best organic ingredients. The picking was actually very simple to do, the main tool was a basket with an extendable handle. As you extended the handle to reach the oranges which were high up in the trees, you used the basket to knock the oranges off the branches which you then caught with the basket and brought them down to place in the bucket we were each given. In total myself and my partner picked oranges from four different orange trees, and we even had a family come up to us to ask us if they could take some oranges themselves, which we of course let them do. The second day of service was larger. The day itself was called ‘Devils in Disguise’ and was a university wide event. This involved multiple projects in the community, the organization I got involved with was the United Food Bank. The day involved meeting on Campus at 7am before getting the shuttle to the Food Bank which was in nearby Mesa. Once we were there we were split into teams to work on different parts of the production line with the aim of getting the donated food from the donation bins into sorted boxes ready to be sent to the people who need them. I was involved in the initial sorting of the food, which meant that I had to check that any items that were out of date, damaged or that didn’t contain their own nutritional labels were thrown away. Once this was done I then had to sort the food into different groups such as meat, fish or soup and then place these boxes onto the conveyor belt for further sorting. In total we managed to sort 10, 000 lbs. of food in the four hours that we were in the warehouse for which was a new record. This made me feel proud of our achievements as a group, and it was good knowing that I had helped to give back to the community that has been so welcoming to me for the year that have been here for. By Roopa Hathi (Hong Kong Polytechnic University, Hong Kong). So, it is actually the time that I have finished my studies at PolyU! So so strange that this year has flown by!! So, firstly I am going to begin with a brief account of what I’ve been up to since my last blog post! 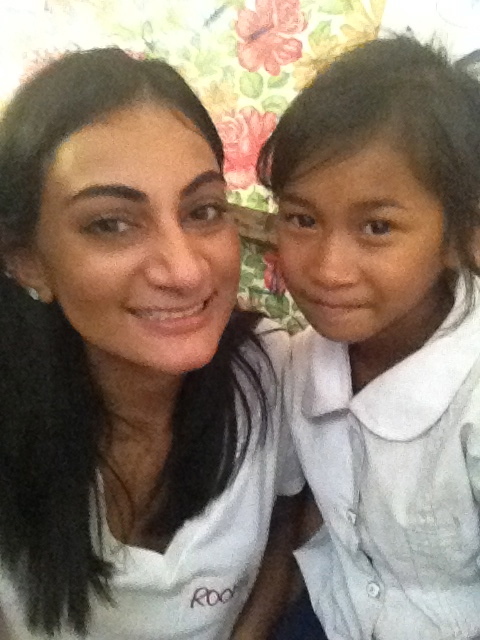 After completion of exams, I went to Cambodia to volunteer for two weeks. 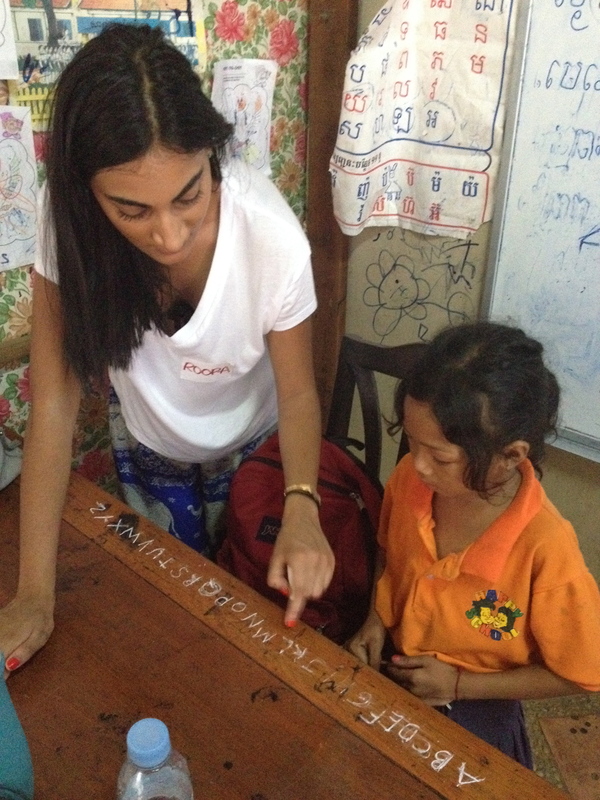 I taught English to primary school children for two weeks, which was an amazing experience! I wasn’t really sure what I should expect, I wanted to do something that I think would be more rewarding by myself! 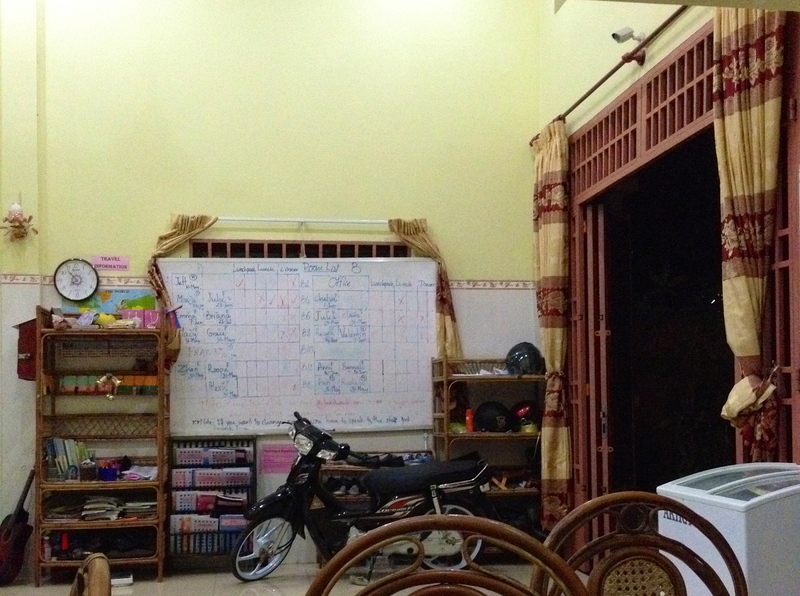 So off I went, for my 5am flight to Phonm Penh and 8 hours later I arrived at my volunteer house. This was the house that I lived in! I settled in well and have made some of the best friends ever there! Mainly from Australia and Canada and we are already planning to do something similar next year in South America! 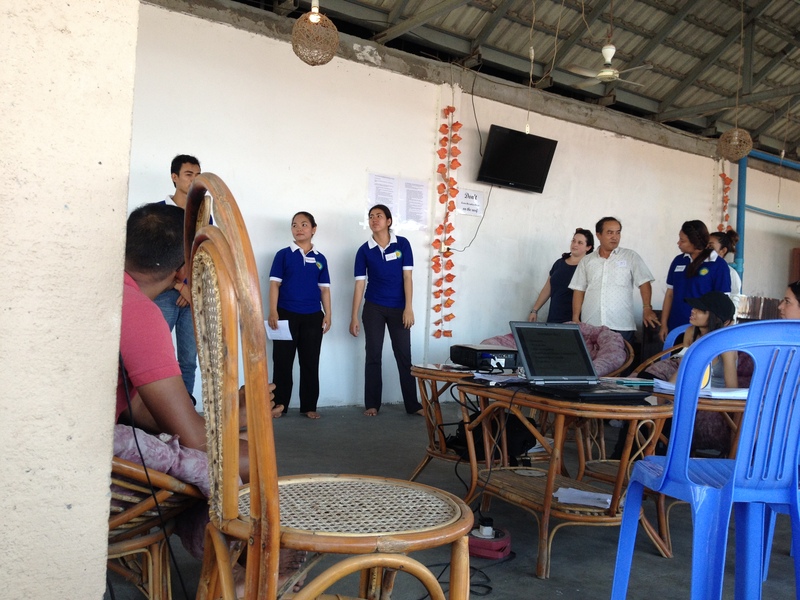 The teaching part was extremely challenging. I managed to raise over £600 on a GoFundMe page, so I was well prepared to donate and help the children in anyway that I could. The school was ultimately a series of 5 sheds in a big outside area, but the kids were bright and fun – even though many of them were orphans or came from an extremely poor background. It was a very heart warming experience to teach these children, but challenging at the same time because none of them spoke proper English so translation was difficult! I played games with them (hangman, wordsearches etc) and seeing their faces light up when they selected the correct answer was great! They would run around in their broken shoes and torn clothes, but still had big smiles and an inspiring keenness to learn and be educated – something which children in the UK rarely have! 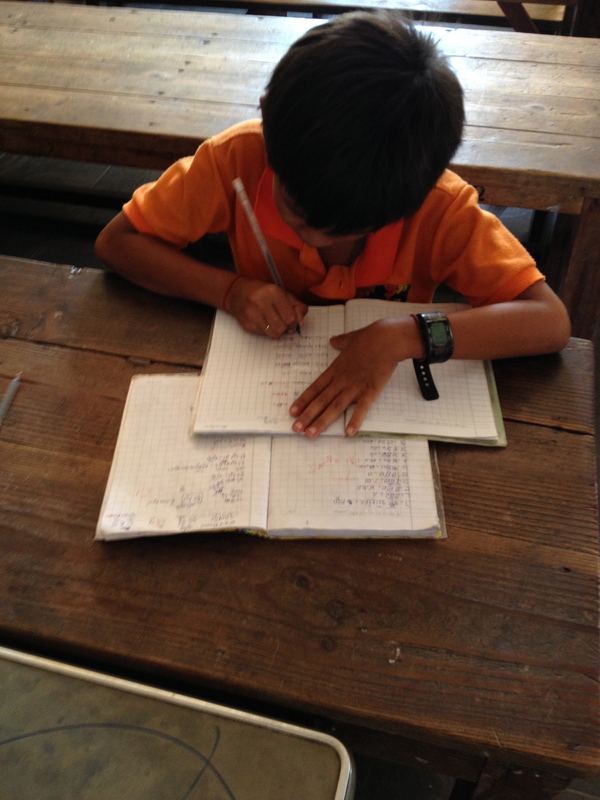 I had donated money through fixing their plumbing system (so the children could have working toilets!) and buying teaching supplies such as pens and paper etc, but my last £400 I decided to give to the the family of a boy to pay for his university education. On some afternoons, I also taught university students of 17+. They were sponsored by the Intercontinental Hotel group to get a basic English or Management degree and then they would progress to get jobs in their hotel! 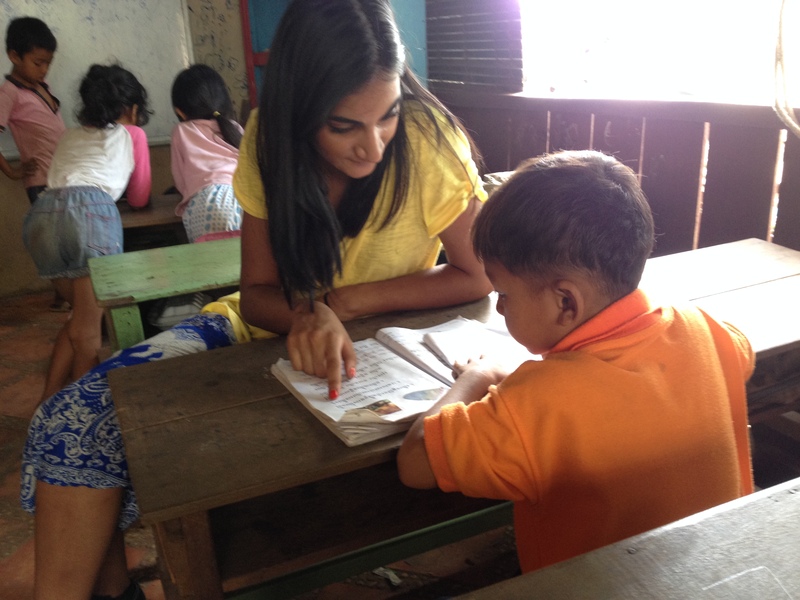 These lessons were a lot more structured and I had students who were so keen and happy to be taught English by a native English speaker like myself! At some points it was difficult, even I questioned myself! They would ask simple questions about grammar, or sentence patterns and it is so second nature to me that I found it difficult to explain why. For example, they would ask why “skipping” is not “skiping” and they couldnt understand the concept of a double “p” and kept writing “skiping” – just little things like that that we did when we were young children. Nonetheless, it was very rewarding to be able to see that they have remembered some of the reading and writing skills that I had taught them the previous days! 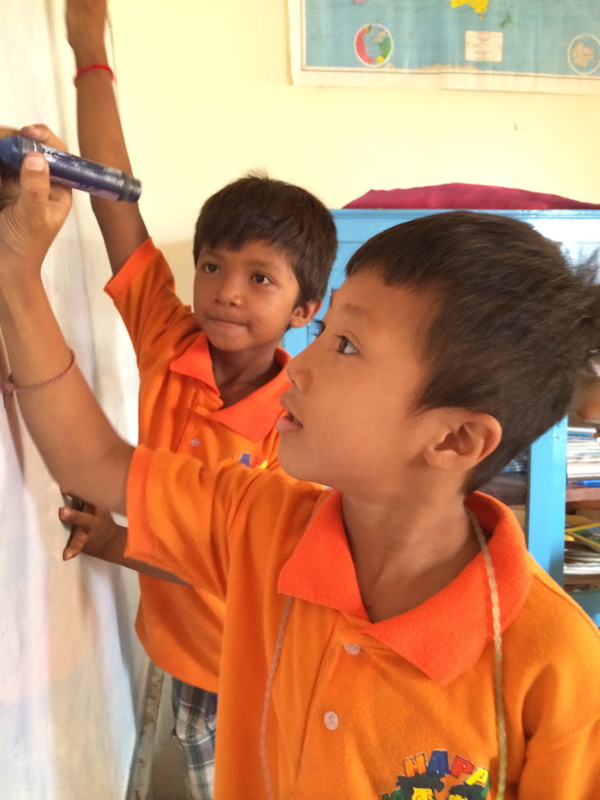 I wish that I had longer than two weeks in Cambodia as I would like to have seen a bigger change in the children that I taught, which would only happen over a longer period of time I guess! After Cambodia, I began my internship at an amazing company in HK! I am so thankful for this opportunity and it is a good experience to be learning so much, from a global perspective! In my next blog post (my final HK post!!) I will reflect on the three goals that I set myself before I came to HK! I still have 5 more weeks here, so I will really try to immerse myself in HK, from a non student perspective!